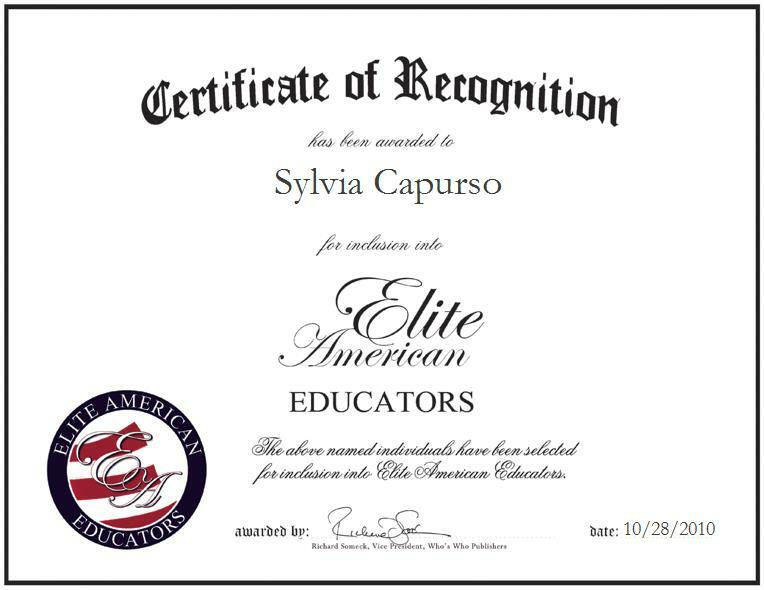 ← Clora Mae Baker Ph.D.
Sterling, Virginia | October 28, 2010 | Sylvia M. Capurso, retired Reading Specialist and Instructional Aide Assistant, has been recognized by Elite American Educators for her dedication, achievements, and leadership in language arts and literacy development. Ms. Capurso is an instructional aide assistant at St. Veronica Catholic School. With over 35 years experience in education, Ms. Capurso was a reading specialist at Forest Grove Elementary School prior to her retirement. As an instructional aide assistant, Ms. Capurso teaches reading to students grades kindegarten through third. She attributes her success in education to her hard work, dedication and firm grasp on issues related to individuals struggling with reading. As a child she struggled and faced difficulties in school, with her experiences she chose to devote her career to helping others who are struggling like her. The greatest benefit of her career is receiving gratitude from her students for the positive impact she has made on their lives and being praised by parents for their child’s love for reading. 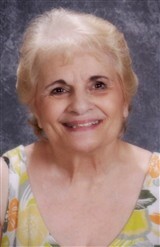 A graduate of SUNY Geneseo, Ms. Capurso earned a Bachelor of Science in Elementary Education in 1963. She later went on to earn a Master of Arts in reading from George Mason University in Fairfax, Virginia. Ms. Capurso is a member of the Virginia Education Association, the Greater Washington Reading Council, National Education Association, National Catholic Educational Association, and Kappa Delta Pi. She has been honored as Educator of the Year for the 2008-2009 year and volunteers with Parents as Partners organization.